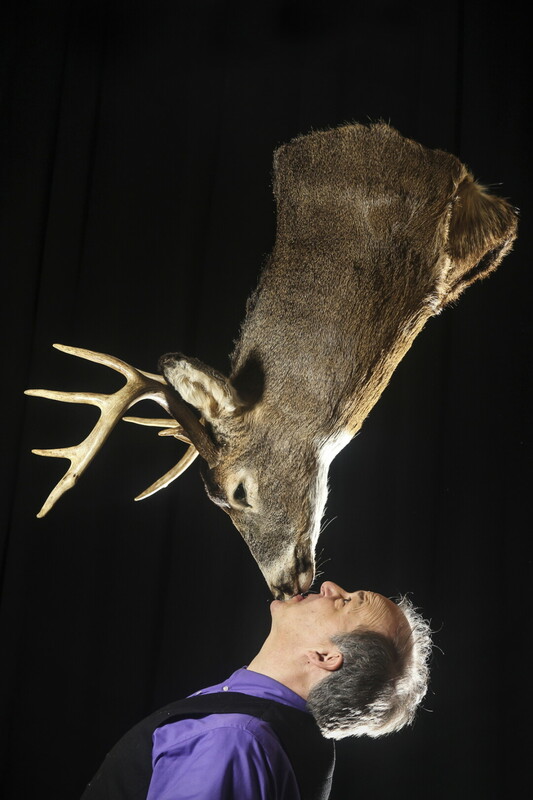 JUST KISS ME, DEER. Stores from Steve Russell’s 35-year career as a traveling comedic entertainer provided plenty of material for his new one-man stage show, The Casual Suspect. 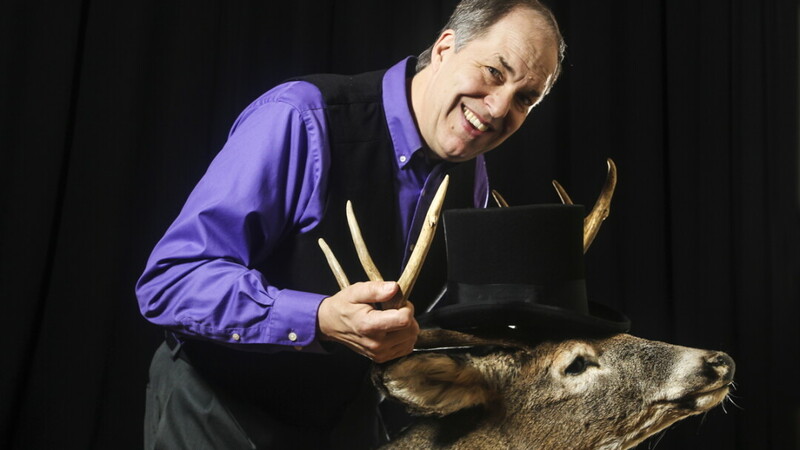 After training at Ringling Bros. and Barnum & Bailey Clown College, performing various circus acts around the world, and guest-starring on various national talk shows, a Menomonie native has returned to his roots to share those stories in the area it all began. Steve Russell, known around the world for his performances, is hosting his very own one-man show, The Casual Suspect, at the Grand Theatre on April 19. Unlike the countless performances he’s done before, this one will be something completely different because the focus is all on him. Russell, who grew up in Menomonie, said he has been interested in being a circus performer since he was a little boy learning and practicing tricks. “Eight-year-old boys get into magic and juggling and tricks and stuff, and I never quite grew out of that,” he said. However, it wasn’t something he believed he could actually do. Then he came across the Ringling Bros. Clown College and decided to take a chance and apply. After being accepted, he learned all sorts of circus skills, including eating fire and juggling. It was then he began to believe this was more than a childhood dream. “That’s when I first realized that you could actually do this for a living,” he said. “I met people who were like me and really enjoyed it and knew they wanted to do this for the rest of their lives.” And after traveling to 65 countries and all 50 states to show off his talents, that is exactly what he did. Now residing in Colfax, Russell said he wants to share his experiences with others. Russell spent a lot of his earlier days working at Renaissance festivals, and he says the story that started it all – and one of the main stories of the night – comes from there. One evening after a festival in Texas, he and some friends thought spending the night in a local cafe would be a good idea. After getting permission from the owner, they thought they were good to go. Before they knew it, however, they weren’t the only ones inside the cafe. He will share this story, among many others, at the Grand Theatre April 19. Russell is grateful to the Chippewa Valley Theatre Guild for allowing him the opportunity to use their stage, and he thought the Grand would be the perfect place because of its welcoming atmosphere.